Recently, the building formerly known as the Murphy’s Motors building on North Main Street has been purchased by the City of Hannibal. One of the prospective plans being considered for the property is to raze the structure and create a space meant to augment several festivals held downtown each year. One problem: the over-130-year old building happens to be part of the Mark Twain Historic District and does not show signs of immediate distress. Moreover, acre after acre of underutilized open space exists just on the opposite side of the downtown levy wall that could be used for additional festival space. The concern that demolition of a building considered by many to be ‘historic’ in a part of town venerated for its historical content begs the question: why should local history matter to Hannibalians? A view of North Main Street looking south from Holiday's Hill (now Cardiff Hill), c. 1900-1910; what eventually became known as the Murphy's Motors building is in the left foreground below as a wagon factory. Photo courtesy Steve Chou. Hannibal’s history is more than its past – it is what sets the town apart from most other small communities. If a small town is like an extended family, then history is its version of genealogy, a lineage that answers the ‘hows’ and ‘whys’ of Hannibal’s development. Thanks to so many local resources, from the Missouri Room in the Hannibal Free Public Library and the volumes of information chronicled by Roberta and J. Hurley Hagood to the ephemera and photographic archives of Steve Chou, access to pieces of the past are more available in Hannibal than in most communities of similar size. The trick is to synthesize these materials into a cohesive narrative that is accessible to all and representative of the town’s character; without this, all of these elements can be seen separately as trivial or nostalgic, rather than taken as a whole as the living DNA of today’s Hannibal. In other words, what we look like today as a community is not our full identity. Though our economy has suffered in the past few decades, for many years throughout the nineteenth and twentieth centuries, Hannibal was surprisingly strong in manufacturing. While most Mississippi river towns were known for one major industry in their past, Hannibal experienced industrial ‘booms’ repeatedly throughout its history. Initially, the steamboat trade brought commerce to Hannibal’s shore. 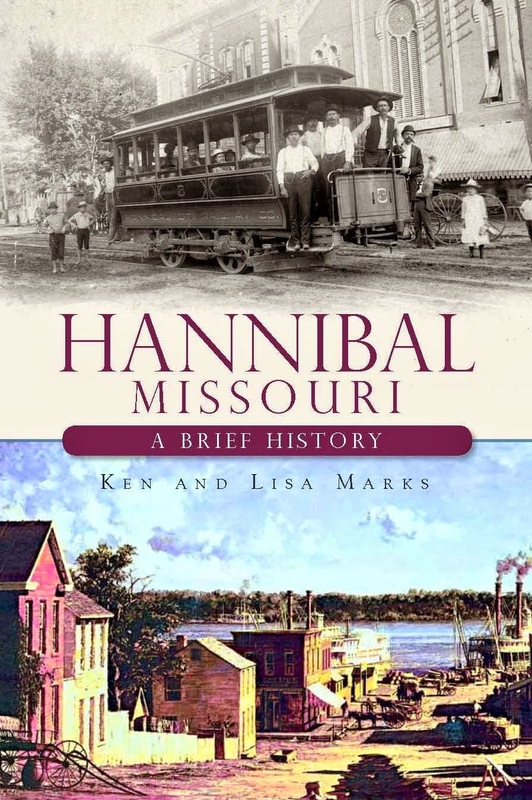 Next, Hannibal became a major railroad hub; these railroads facilitated the massive lumber firms of the Reconstruction years that brought great wealth and prosperity. By the end of the 1920s, mostly because of the International Shoe Company and related industries, Hannibal had the fourth largest industrial base in Missouri despite having a population in the low-20,000s. For decades, Hannibal managed to overachieve in spite of its population, a small city that accomplished big things. To be aware of what those who came before us were able to accomplish can inspire today’s Hannibalians to strive to achieve the same level of civic progress. Through those years, Hannibal also produced larger-than-life characters of national prominence. 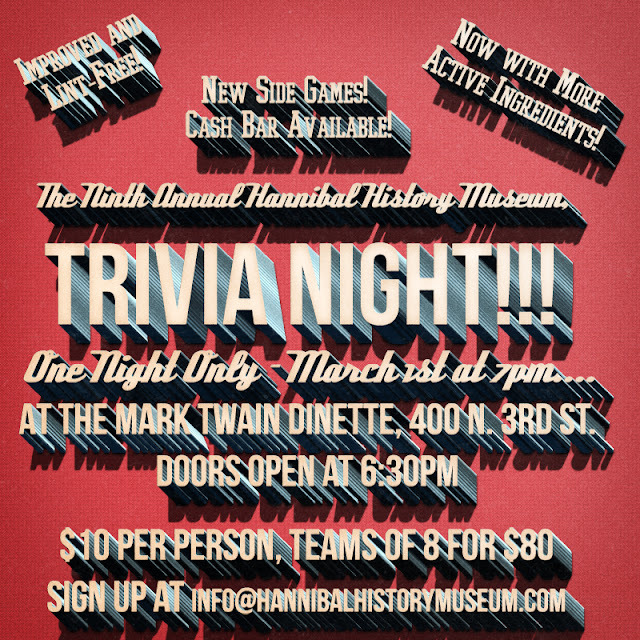 Visitors may come to visit Hannibal based on the name recognition of Mark Twain, but what also interests them is in understanding the type of town that would mold a young Sam Clemens or Margaret Tobin Brown into a force of nature. To be able to walk on the same streets and look upon the same buildings that Twain would have is the reason tens of thousands of visitors flock to our historic districts each year. The evidence of Hannibal’s successful past coexists today with all of the highway-corridor malls and signs of modern conveniences that can be found in identical fashion in thousands of other communities. Yet, the older buildings of the historic districts tell more about the times in which they were built, each location hinting at its own story about the ways people functioned in society, bringing history to life in some way that cuts through the restrictive nature of words. The problem is, it often takes the demolition of a building, or even entire neighborhoods, before it becomes clear that a portion of a town’s history is forever lost. In order to save these parts of our heritage, citizens need to place a value on keeping these structures and places intact. Numerous people have chosen to move to Hannibal because these old homes and storefronts offer opportunities to maintain a heritage that are no longer found in many towns across the country. Without this heritage, would Hannibal fade into just another of a processional of two-ramp stops along the interstate? A view of North Main Street looking north from Hill and N. Main, c1940s; the Murphy's Motors building is on the right. Photo courtesy: Steve Chou. Hannibal’s history is one of its economic strengths. Actually, this economic strength is twofold: the built-in capability of Hannibal to attract more cultural heritage tourism, and the financial benefit that comes from the restoration/adaptive reuse of historic properties. In this case, cultural heritage tourism refers to anyone who travels to Hannibal to experience those historic buildings, monuments, parks, etc. that embody the spirit of the town. This differs from other tourist-y type towns in that visitors are not experiencing perfection or a sanitized version of the past -- authenticity, of which we have in abundance, is what people desire. Visitors who come to the Hannibal History Museum are surprised at the richness of our town’s history, finding more to Hannibal than just that involving our most famous former resident. Passengers of the various cruise ships that have recently begun revisiting our riverfront comment that Hannibal is one of the most popular stops on these trips. Our cultural heritage is a built-in asset that is marketable in ways that most towns can only dream of possessing. However, our historic districts and old neighborhoods need some attention. The conditions of properties in these areas are literally and figuratively all over the map, but these homes and buildings tend to offer much more square footage for the dollar than more modern properties elsewhere around and outside of town. The return on investment for restoring or renovating one of these pieces of real estate is something that often takes years to recover in today’s market, but the objective in these cases is the desire to live alongside the past as opposed to attempting a quick equity flip. Just think what might have happened if George Mahan had not had the foresight to purchase Mark Twain’s boyhood home in 1911 for the purpose of historic preservation? The Raibles, Hartleys and Rollers purchased Rockcliffe Mansion in 1967, just days before its scheduled demolition. Charles Anton gathered like-minded preservationists who banded together after the flood of 1973 and saved a significant part of North Main Street. How different Hannibal would be today if these structures had not been saved! And none were done with the intention of a quick profit; the love and desire to preserve history were the main motivations. We are all so fortunate that these individuals rose to the challenge of preserving these severely damaged structures and invested in their restoration – and literally hundreds of thousands of visitors have had the privilege of visiting these sites due to the efforts of these remarkable Hannibalians. For larger structures, such as the Murphy’s Motors building, more creative solutions are necessary in order to ensure such a large space can be consistently maintained after restoration or modification. Examples exist throughout other historic districts around the country where oversized churches and de-commissioned Federal buildings have been put to adaptive reuse through public-private partnerships or combined groups of non-profit organizations that agree to share the space, among others. Once a community, especially its younger generations, embraces its history, it collectively gains a vested interest in sustaining its older neighborhoods, because now these neighborhoods become a reflection on how the citizens view their own heritage. Though more than a few ‘transplants’ (non-native born Hannibalians) have taken the challenge of preserving Hannibal’s history, there is still an embarrassment of riches when it comes to the plethora of rehabilitation projects. The hope is that eventually more Hannibalians will see the same potential, not only with structures like Murphy’s Motors but throughout the historic districts, and reinvest again in these areas. Historic preservation and heritage tourism will encourage residents and visitors alike to embrace the unique, quirky character of this big little river town between the bluffs – not just today, but for generations to come.